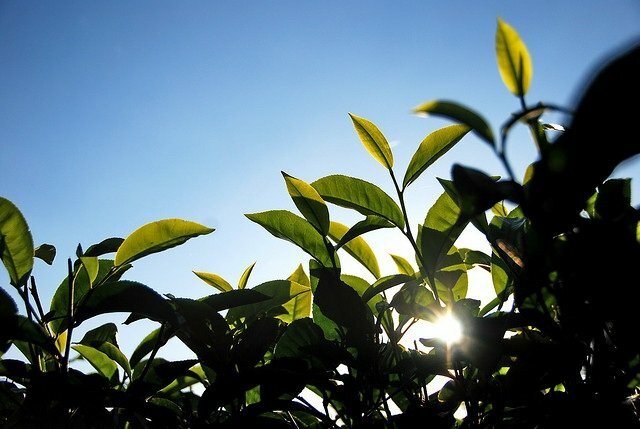 New research has used extracts from green tea leaves and vajradanti roots to create nanoparticle-based biomedical delivery vehicles that could one day be used to isolate and excise cancerous tissue. To most eyes, NIPER Mohali may just seem like a lovely green campus. But the abundance of medicinal plants nurtured at this pharmaceutical institute gave a research idea to Jayeeta Bhaumik, a synthetic organic chemist. Due to their antioxidant properties—the same ones that make plants healthy for humans—some medicinal plants can be used to synthesize and coat nanoparticles.Medicinal plants had the added benefit for Bhaumik of being a local, inexpensive resource—and suitable for biomedical applications, because they pose none of the potential health hazards of more conventional chemical methods of nanoparticle synthesis. Concerns about health have led many other groups to turn to “green” methods of synthesizing nanoparticles in recent years. After initial success using extracts from the jamun fruit to create silver nanoparticles, Bhaumik and her colleagues have now published research that used extracts from green tea leaves and vajradanti roots to produce silver and gold nanoparticles. They attached compounds with diagnostic and therapeutic functions to these nanoparticles, creating basic biomedical delivery vehicles that could one day be refined for cancer treatment. Nanoparticles range from 1–100 nanometres, larger than a single atom but still small enough to slip inside a cell. Viruses, enzymes and proteins lie within this range. The attraction of nanomaterials for biomedical research lies partly in the simple fact of scale, but also in the changed physical properties at such small sizes. Quantum mechanical effects are still prominent at nanoscales, leading to unusual optical and physical properties that made nanomaterials favourites of ancient artists. Nanotechnology has progressed rapidly in modern times, particularly in the past twenty years—with potential applications in fields as varied as robotics, water purification, energy storage and clothes manufacture. Bhaumik and colleagues are most interested in nanoparticles as agents that can travel through the body to help us both pinpoint and treat sites of disease. Gold and silver are favoured candidates as nanoparticles in medicine, partly because they have potential therapeutic effects of their own. The natural antibacterial and anticancer properties of gold and silver are believed to become more pronounced at small sizess, as their surface area-to-volume ratio increases. These small sizes are achieved through a simple process of reduction, accomplished here by treating gold and silver salts with antioxidant phytochemicals such as flavonoids and polyphenols present in medicinal plant extracts. Antioxidants reduce positively charged metal ions to a neutral state, by donating negatively charged electrons. The reduced metals naturally aggregate into particles, whose size is capped by a coating of the same phytochemicals, effectively blocking further aggregation. This phytochemical coating is abundant with electron-generous hydroxyl groups, which can bond with complementary compounds of choice. Bhaumik and co-workers attached two compounds to the surface of their nanoparticles: rhodamine B, a fluorescent molecule that can visually tag the particles wherever they collect, and rose bengal, a photosensitiser that releases reactive oxygen on application of light. Reactive oxygen, in turn, destroys local tissue. Together, these two properties allow for light-directed selective destruction of diseased tissue in the body—so long as nanoparticles can be engineered to collect where the disease is located. In the case of tumour cells, nanoparticles and other macromolecules accumulate automatically, possibly due to a combination of leaky blood vessels and poor drainage of cancerous tissues. The caveat with all such research is that a long, difficult road tends to lie between promising theory and therapy that can be used on humans. One challenge now facing Bhaumik’s group is to reinforce the natural coating of the nanoparticles so that they won’t degrade once exposed to blood. Another necessary future step is to road test their engineered particles on live tissues. “We definitely want to shift to in vitro studies,” says Bhaumik. “Long term goals would of course be in vivo animal models.” And after animal models such as mice, and clinical trials on humans—funding permitting—perhaps one day extracts from jamun fruit and green tea leaves will be key components of nanoagents that fight cancer.